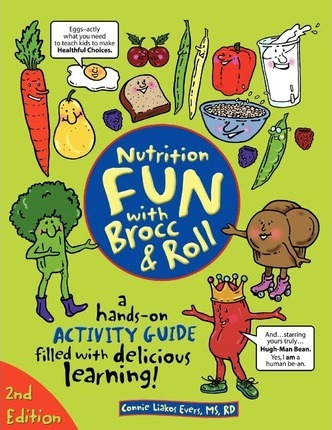 Nutrition Fun with Brocc & Roll, 2nd edition combines a discovery approach to learning with a healthy dose of humor. The latest edition features the new MyPlate food guide and 42 copy-ready activity sheets. Kids learn to assess food and activity habits, set goals, make choices, understand advertising and label reading, and develop basic cooking and gardening skills.